Q. 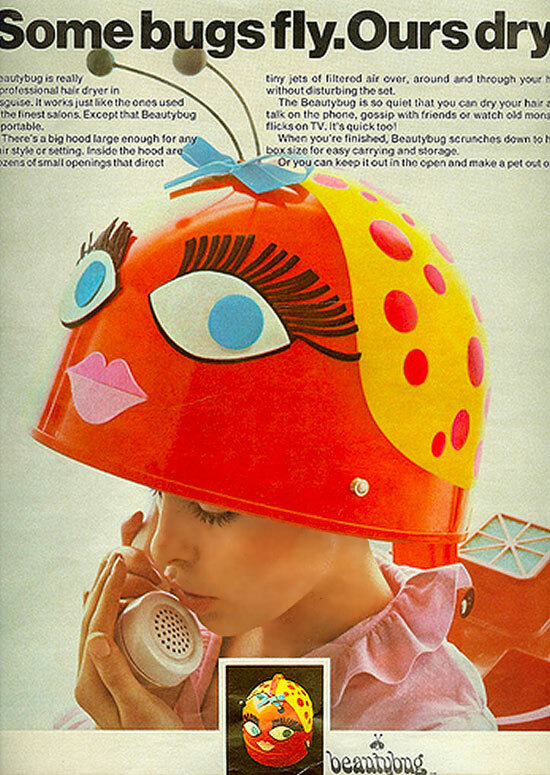 How much will it cost to have my doll visit your spa? A. 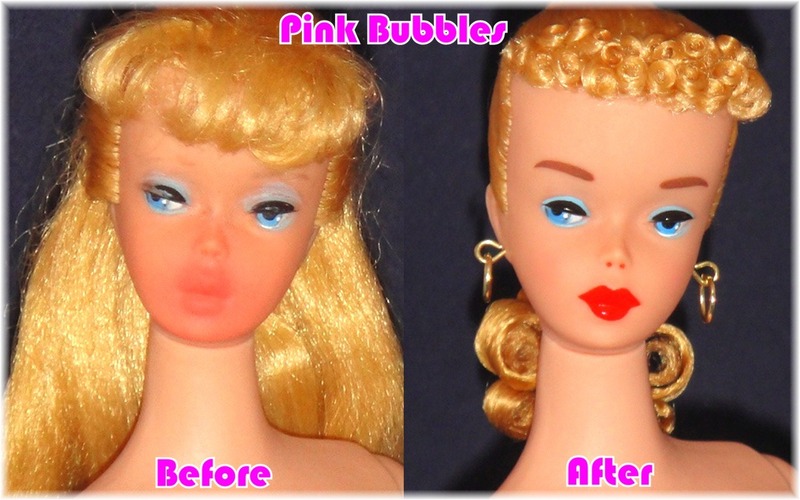 It all depends on how much work your doll needs. 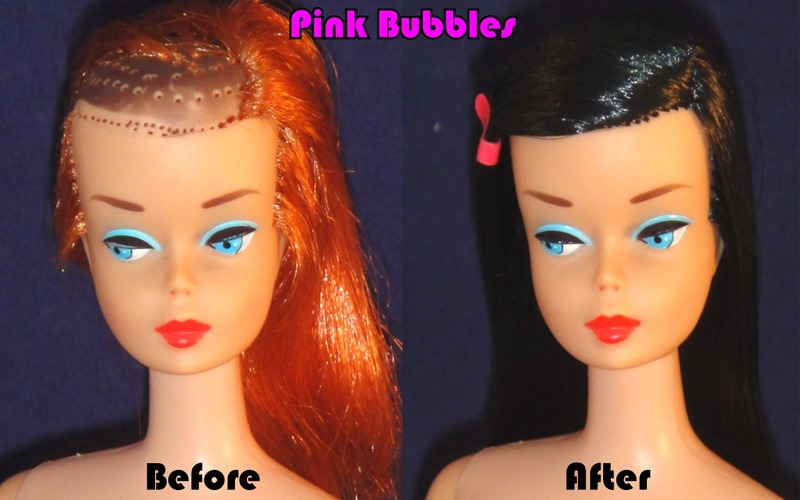 Every doll will have a different combination of desired services depending on her condition. Each individual service has a set price. The prices for all offered individual services are located under the “Rates & Services” tab under the site header. You can check there in advance and just combine the prices on our menu to give you an estimate of the total cost for that doll. 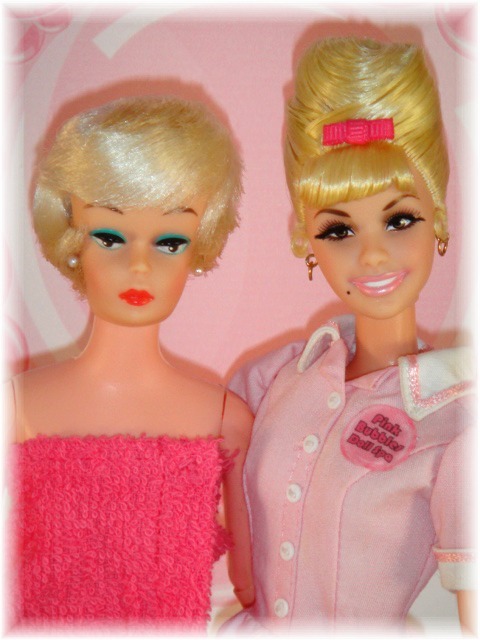 Or you may choose to purchase your doll a complete spa package. 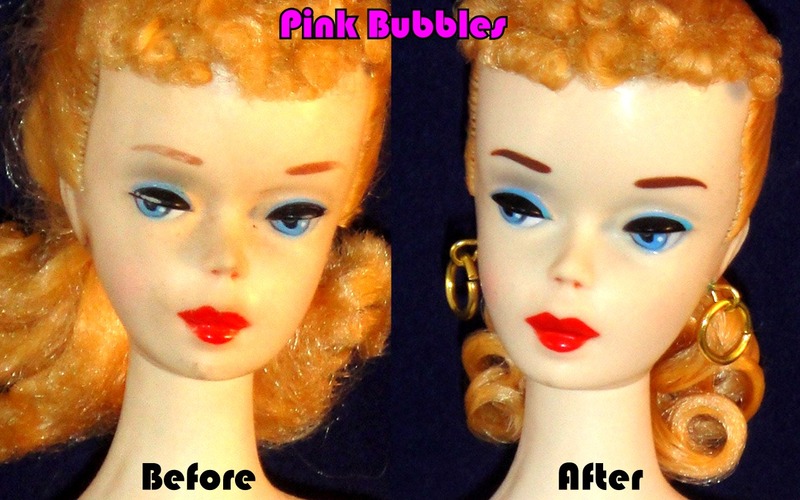 This package includes everything most dolls need for total rejuvenation. 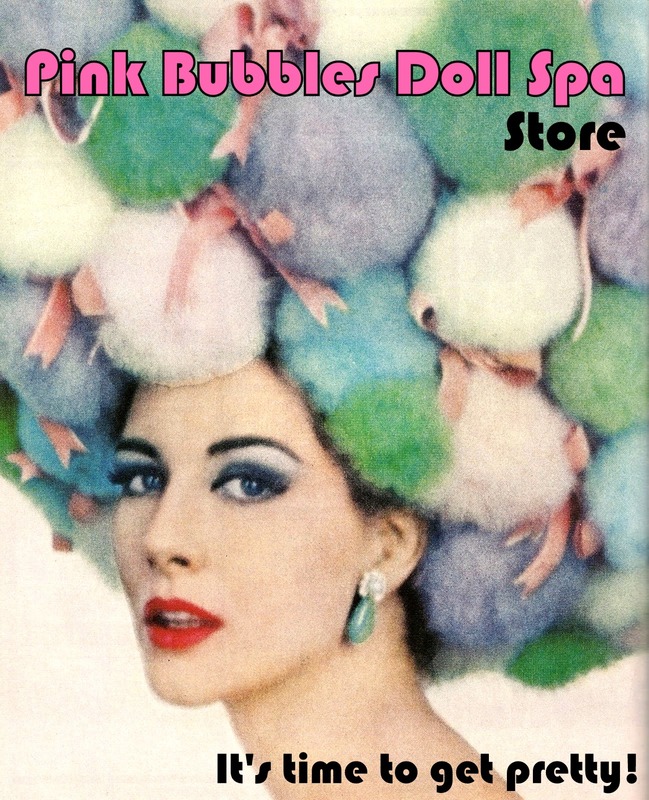 Whether she needs “the works” or just her hair done, Pink Bubbles Doll Spa offers any combination of services your girl may need! Q. 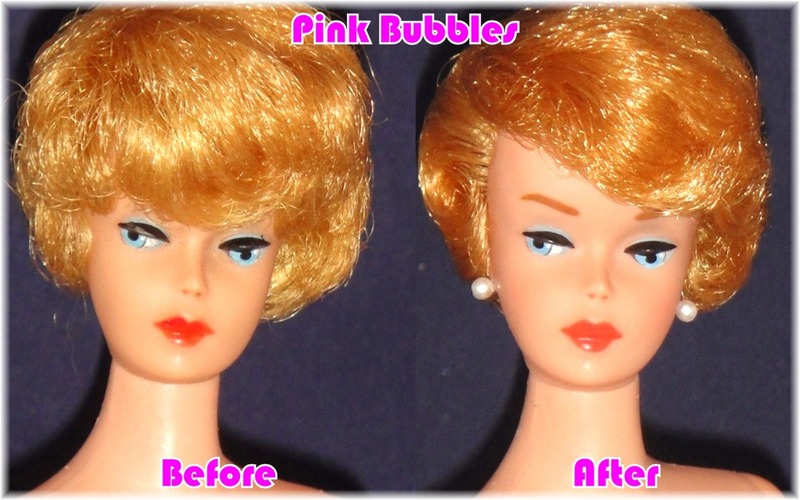 How do I purchase a complete spa package with Pink Bubbles for one of my dolls? A. It’s very easy! Just click the “Book an Appointment” tab at the top of the page. There you will find a “Buy Now” button underneath the spa package description. This button will take you to PayPal where you can purchase the package for your doll. You can also enter the number for additional packages needed if you have more than one doll. When we are notified of your purchase, we will contact you with all the details you’ll need, including shipping instructions so you can send your doll or dolls to us here at the spa. Q. What happens when my doll arrives at the spa? A. When your doll arrives, the very first thing we do is send an email to let you that she has indeed arrived safely. She’ll have been examined carefully and we’ll discuss what services we feel she’ll need to look her best and get your feedback. She’ll then have her “before” photos taken. When she has had her services completed, she’ll again be photographed and these composite pictures will be sent to you via an email showing her results and letting you know she is ready to begin her journey home. Q. Who pays return shipping for my dolls? A. Doll owners are responsible for their dolls return shipping charges. If you have your doll returned in the same manner as you sent it, for instance “Priority Mail” this cost will more than likely be the same amount you spent sending her in. Return shipping will be requested when your doll is ready to return home and paid via PayPal. Remember to factor in return shipping costs in your beauty budget! Q. I love your “before & after” photos! Will my doll be photographed? A. Yes! All our clients are photographed before any work takes place. They also are photographed after they are finished. 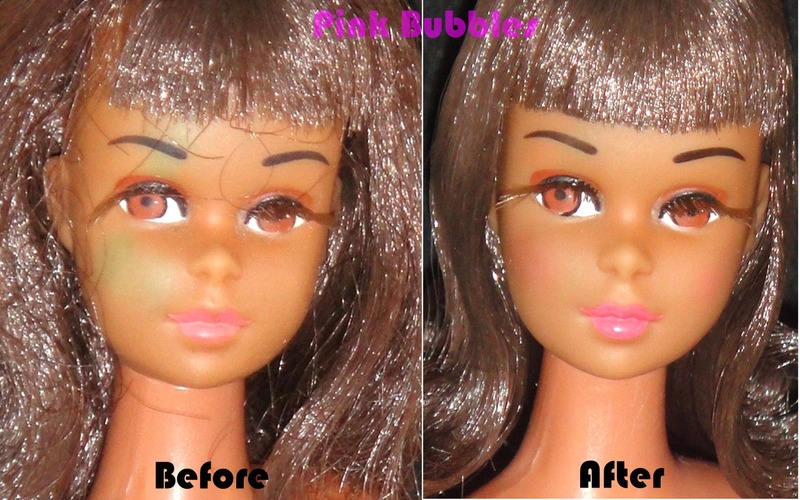 You will be sent an email telling you your dolls are finished and the before and after photo’s will be included in that email for you to see. Who knows, one of your girls photos may be featured in our blog posts! Q. 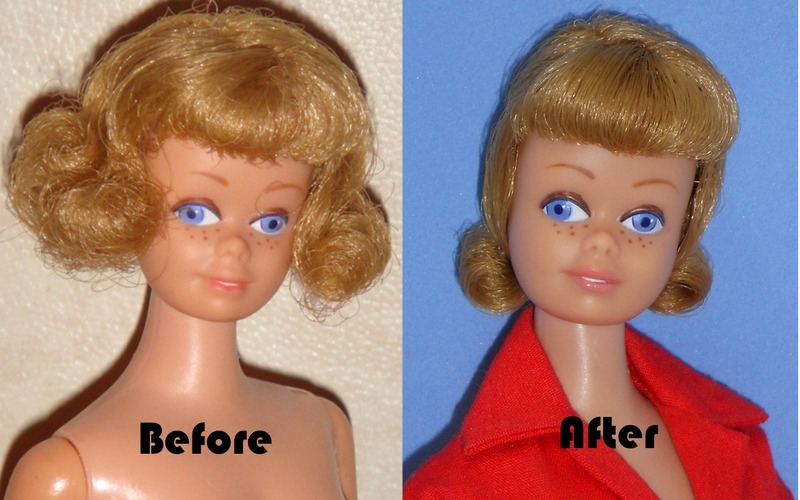 My doll is missing part of an eye ridge, can you repair it? A. 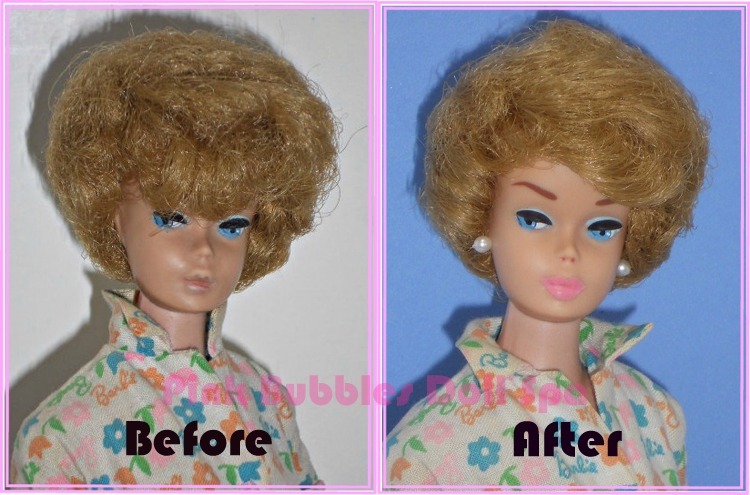 We are unable to repair vinyl on dolls. Damaged facial features such as noses, lips or eye ridges, as well as missing fingers or toes cannot be replaced. It’s possible to repair a small neck split (depending on the severity) and we can discuss that with you. 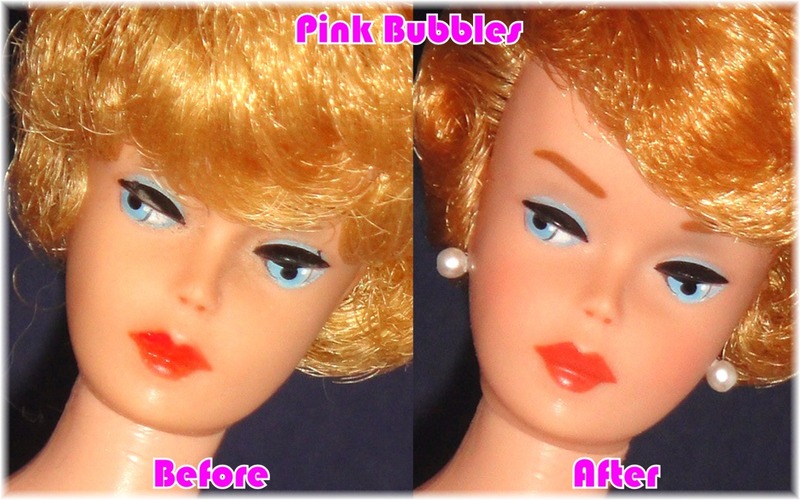 Loose or broken neck knobs on 1 – 4 Ponytails can be repaired if you still have the knob or it remains inside the head. We can’t provide you with missing limbs. 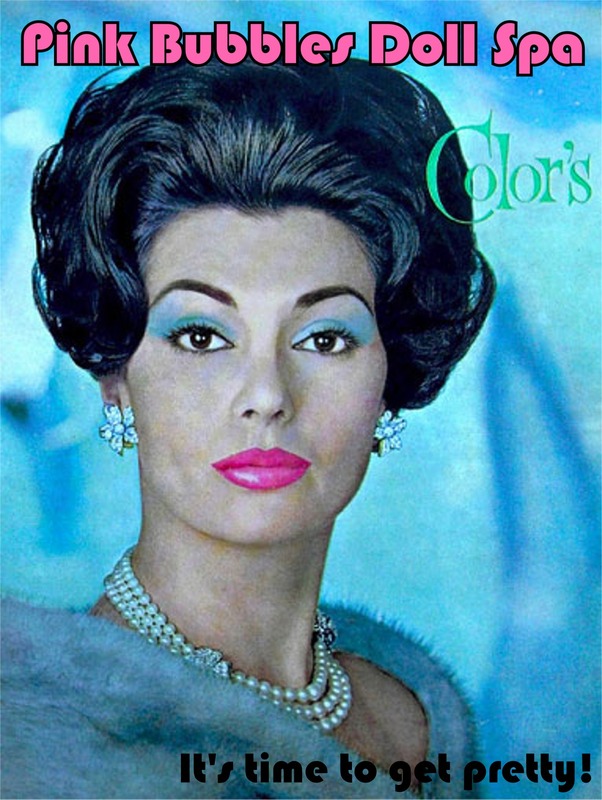 Please remember, we’ll do our best but are a beauty spa, not a plastic surgeon! Q. Hi! My doll unfortunately has the dreaded green ear. Can you remove this for me? A. 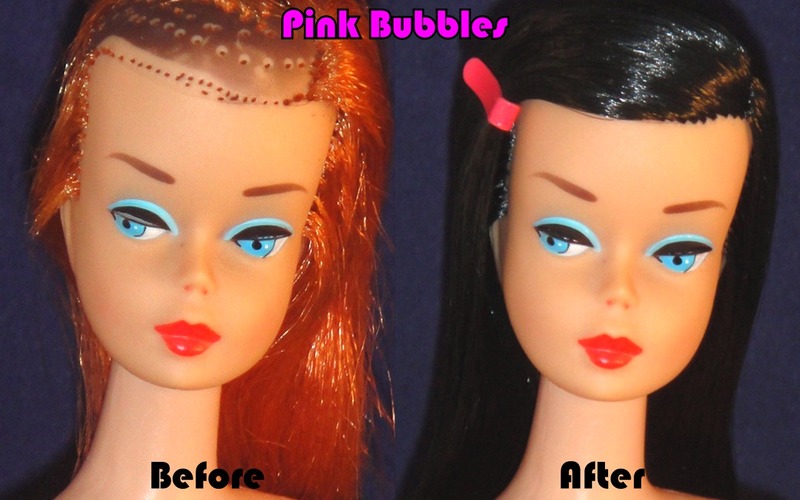 Many beautiful dolls have this problem. Treating it can be tricky. We do not treat “Green Ear” here at the spa as the results can be risky. 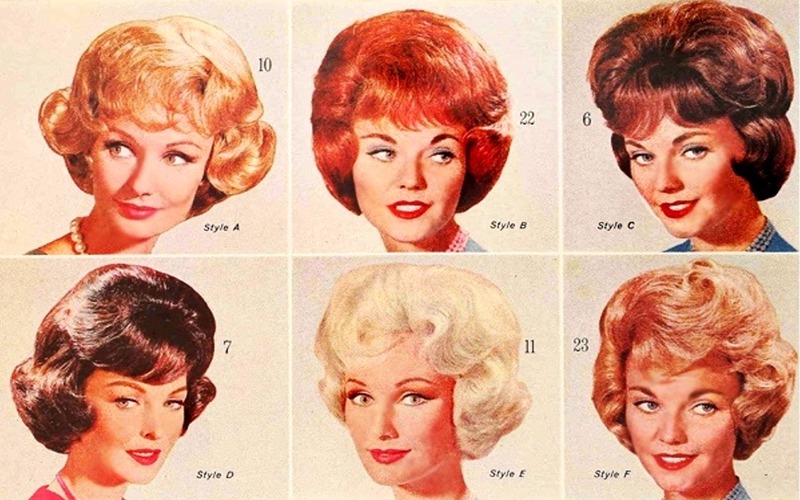 There are a lot of articles out there with various treatment options you can try. Q. My Crissy doll wants to come to your spa! Do you work on larger dolls? A. 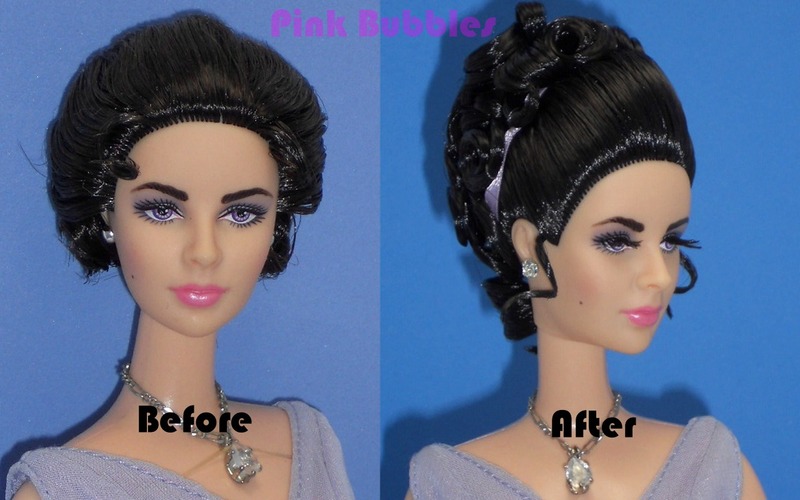 Our client focus is mainly 11.5″ or similar sized fashion dolls. If you have a larger vinyl doll feel free to write in and ask, we’ll see what we can do! We do not accept antique porcelain or composition doll guests.